FACE Websites, LLC now offers a customizable nonprofit organization design along with a set of powerful content management tools at a very affordable price. Working with nonprofit organizations we have developed a model that contains all the necessary functional elements to support your organization. 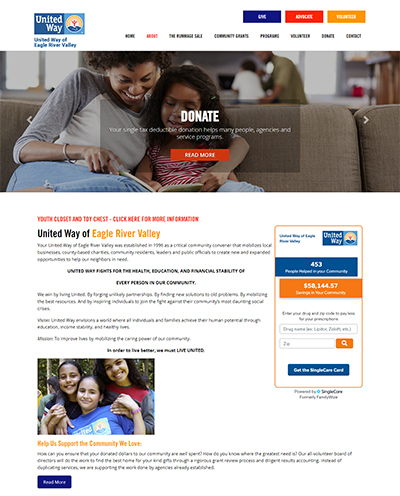 Coupled with our unique and robust content management system, we offer nonprofit organizations a quick and easy way to establish a new website in just a few hours. It's functional, affordable, customizable and easy. In fact, that is what FACE Websites is all about - (F)unctional, (A)ffordable, (C)ustomizable and (E)asy management of a great website.